Your liver is responsible for detoxing the body, but sometimes it needs its own detox. A liver detox works to aid the liver so it is better able to perform its many functions. So if you’ve ever wondered how to cleanse your liver, read on to find out. Before we get into liver cleansing, let’s first talk about the liver and what it does. The primary role of the liver is to filter blood coming from the digestive tract. The liver is also responsible for breaking down substances that enter the body. For example, chemicals, medications, toxins, even alcohol. Through the liver, the body detoxifies itself from chemicals and toxins found in our food, water, and air – basically, anything we ingest at some point will be filtered through the liver. But how does one single organ perform such a large task? Well, the liver takes in what we ingest through the blood. Once in the liver, the chemicals, toxins and nutrients are broken down. The good stuff is distributed in the body where needed, and the bad stuff is removed. As we age, the years of toxins that get filtered through the liver can begin to take a toll and so it may not be able to perform as well as it once did. This is where a liver detox comes into play with a liver cleanse diet. Items like red meat, alcohol, and other toxins can be quite taxing on the liver so giving the liver a break or performing a liver detox is an easy way of allowing the liver to rest and rejuvenate. 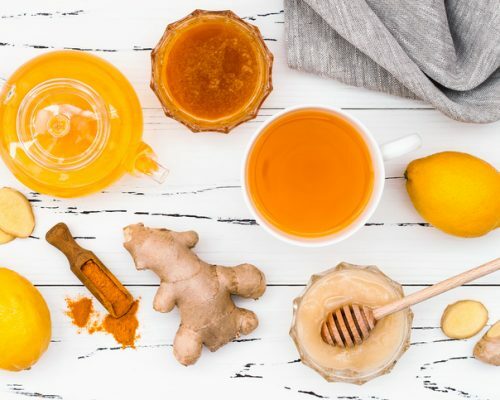 You may have heard of liver detoxes that involve fasting, juicing, or even taking supplements, but these are not effective ways to perform a liver cleanse to flush and refresh. In fact, to improve the health of your liver, all you need is the support of liver-cleansing foods. A natural liver cleanse can clear the liver through a simple switch in diet. A liver cleanse diet is safe, effective, and won’t put additional stress on the liver or the body as a whole. If you think your liver is becoming tired and deserves a break (it probably does! ), check for some of these signs that your liver may need a detox. Start minimizing the toxins which you can control – stop the use of perfumes and colognes, tobacco, and harsh cleaning products. Then gradually stop taking products you ingest that can be harmful to the liver – alcohol, smoke, pesticides, unfiltered water, preservatives, heavy metal fish. Switch to more natural personal care and cleaning products. Start removing foods that can be taxing on the liver – processed foods, sugar, poor-quality oils, GMOs, and red meat. Add in more liver-friendly food items – fruits and vegetables, fermented foods like sauerkraut and yogurt. Look to incorporate liver-friendly herbs like garlic and turmeric. Increase your water intake. Staying hydrated will help flush the liver of toxins and aid in the liver detox. Now that you know the steps of an effective liver detox, here are six foods to enjoy while detoxing your liver. Citrus fruits: Packed with antioxidants, fruits like lemons, limes, and grapefruits are an essential part of a liver cleanse diet. They can help eliminate toxins and promote the growth of enzymes your liver needs to perform its many jobs. Green tea: Not only is green tea good to keep you hydrated and promote the flushing of toxins, it also contains antioxidants useful for a liver detox. Leafy green vegetables: Leafy green vegetables like kale and spinach are a staple in any diet but especially in a liver cleanse diet. They offer many essential nutrients and can help absorb toxins. Beets: Also packed with antioxidants, beets can assist with a liver detox. Avocados: A nutritional powerhouse, avocados can aid in the extraction of toxins from the body. Asparagus: Asparagus is a diuretic – something that promotes urination. When we urinate, we are removing waste and toxins, so the more we go, the more detoxing can occur. You can enjoy these foods separately or combined for maximum detoxing effects. They are all essential for a liver cleanse diet as they contain powerful antioxidants to help flush out toxins normally processed by your liver. By giving your liver a break, you can promote better health and feel better overall. The best part about a liver detox is that you don’t have to do it for a long time. You may see advertisements about cleansing your liver in seven or 21 days or even three months, but three days of detoxing is enough to promote a healthier liver. Enjoying a liver-friendly diet daily and avoiding harmful toxins, you don’t have to worry about setting time aside to perform a liver detox. All the foods mentioned in the liver cleanse diet are great to eat daily and you will find alternative benefits as well! So if you’re tired, sluggish, storing excess fat, it may be time to give your liver a break and perform a liver detox. With a few simple lifestyle changes, you can have a liver that works better than ever!